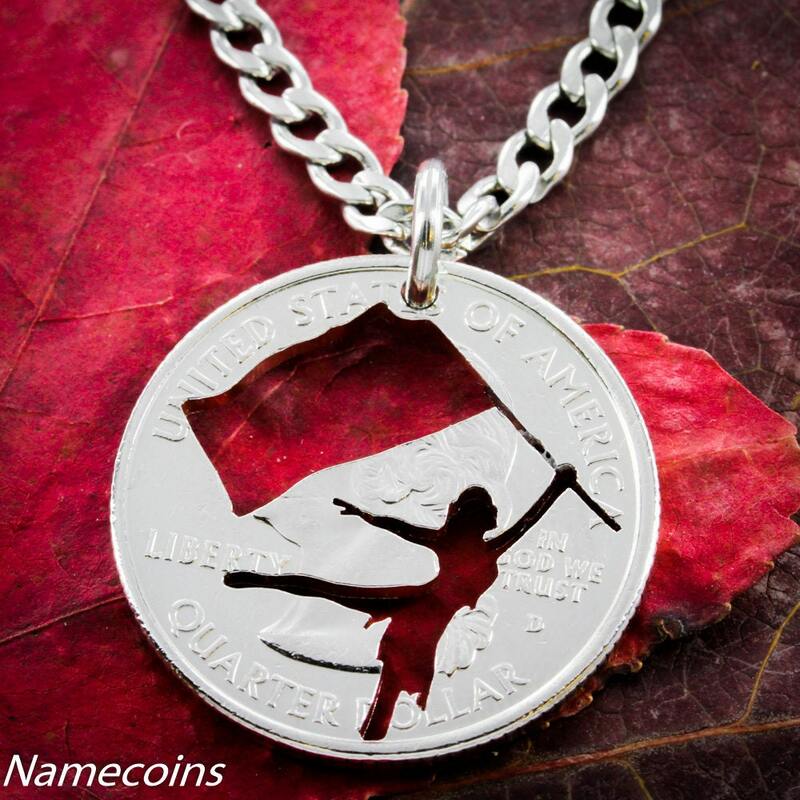 This is a beautiful color guard necklace that has been cut by hand and comes with a high quality stainless steel chain. Most of the coin is solid leaving only the profile of the Guard dancer cut away. Fantastic quality and super impressed with the communication of the seller! Love the product and would recommend! Cute!! She will Love it! This was beautiful and well crafted. They answered my questions and were very friendly. I'd purchase from this shop again. Definitely recommend them.